Understanding your organisation risk: what should a robust risk self-assessment framework capture to effectively prepare for AUSTRAC Compliance Report? Association of Certified AML Specialists (ACAMS) Australasian Chapter in association with Governance, Risk and Compliance Institute (GRCI) invites you to join AUSTRAC Compliance Report Preparedness Industry Event. The AUSTRAC compliance report is a self-assessment of how businesses are meeting their anti-money laundering and counter-terrorism financing (AML/CTF) obligations over the year. The report has been established to institutions and AUSTRAC to understand the risks businesses face and manage a health and integrity of the financial eco-system. Large financial institutions and other reporting entities vary in their internal processes that drive self-assessment differences in methodologies. This is especially challenging when organisation has multiple business lines and verticals. Purpose of this event is to bring the industry participants to share mutual challenges with the self-assessment preparation, and to leverage industry best practices and lessons learnt. 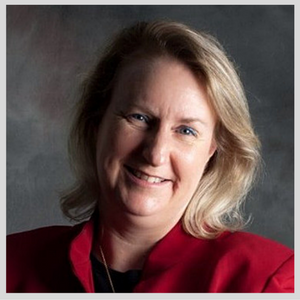 Carolyn Hanson has been in the Compliance field for more than 20 years and is currently the Director of Enterprise Risk, Compliance and Security at PayPal. Having previously worked in the international compliance environment Australia is Carolyn’s eighth country of residence. Most of Carolyn’s experience has been gained in the UK, Isle of Man, Bahamas, Trinidad, Barbados and Dubai. As Course Director (International) for the International Compliance Association (ICA) Carolyn facilitated workshops in Bahamas, Barbados, Bermuda, Cayman and Hong Kong and contributed to the main texts used by the ICA in their various international courses. Working in the Caribbean region Carolyn established compliance regimes for four major areas of a major banking group, acted as the Regional Compliance Manager and Regional Money Laundering Reporting Officer for two major financial institutions. Her responsibilities have included prudential/regulatory and financial crime compliance involving the day to day management of a team of 50 Compliance Managers based in 10 jurisdictions across the Caribbean. Having extensive customer facing experience in the insurance and investment industries Carolyn is a Fellow of the ICA and is CAMS accredited. As well as being an accredited trainer Carolyn has also acted as a Training and Competence Officer in the UK. Other qualifications that Carolyn holds are Associate of the Chartered Insurance Institute, the Financial Planning Certificate and a degree in Business Management. Carolyn was a founding member of the Barbados Association of Compliance Professionals and was President of the Caribbean Regional Compliance Association conference committee for 6 years. Carolyn continued her professional development in Australia by taking the Governance Risk and Compliance (GRCI) Certified Compliance Professional Diploma which confers an International Federation of Compliance Association accreditation. Prior to his retirement, Aub Chapman was a career banker with over 42 years of professional experience. Since his retirement, Aub has been consulting in both the public and private sectors, not only in Australia but also internationally. He specialises in controls against financial crimes. His international experience includes assignments for the United Nations, the Asian Development Bank and the Eurasian Group on Money Laundering. 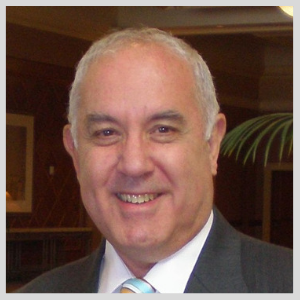 He has been a guest speaker at numerous international and Australasian AML/CFT conferences. The client base for which Aub provides AML and financial crime consulting and independent audit services includes international and domestic banks, wealth management firms, money services businesses, payments services providers, online gambling services businesses, equity crowd-funding businesses, fin-tech businesses and digital currency exchanges. Aub is a Fellow of the Australian Digital Commerce Association and has been member of the ADCA AML Committee since its inception.